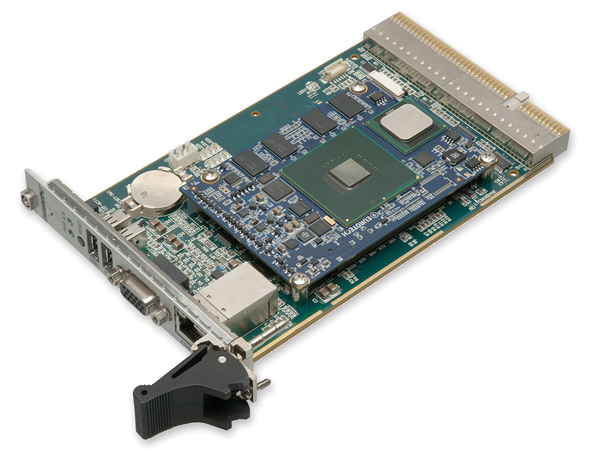 The CPU 30-10 is an Intel® AtomTM processor (Z520P) -integrated 3U CompactPCI single board computer with single slot width. The Z520P processor operates on a frequency of 1.33GHz and incorporates 24kbytes of cache for data, 32kbytes of L1 cache for instruction, and 512kbytes of L2 cache for data/instruction. The A3pci8030 is equipped with DDR2-533 SDRAM (1GB) for main memory. 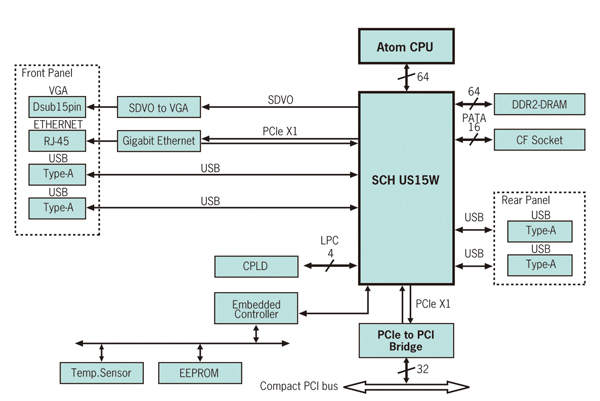 The Atom processor is integrated in Eurotech’s ‘Catalyst XL’ System on Module. This board is used only for the system slot. The CPU 30-10 is equipped with the Gigabit Etherent channel (1 ch), USB port (2ch) and VGA port (1ch) on the front panel and USB port (2ch) on the rear panel. It also provides a single CompactFLASH socket on board.